Call us toll free at 1-888-413-5105 today and ask us how we can save you time and money. New Year’s Day – No Service on January 1st. One day delay. Example; Monday collection day will be serviced on Tuesday. Christmas Day – No Service on December 25th. One day delay. Example: Wednesday collection day will be serviced on Thursday. Based in Jacksonville, FL, Arwood Waste is the nation’s most trusted privately-owned waste management provider. The professionals at Arwood Waste have more than 30 years’ experience providing services that include recycling, site clean-up, portable restrooms, commercial dumpsters, demolition services, dumpster rentals, portable storage, junk removal, medical waste and curbside pick-up. 10% Off Summer Projects – Let’s Do This! 2016 Memorial Day Sale – We HONOR You! 2017 Memorial Day Sale – We HONOR You! Arwood Waste wants to celebrate all the holidays with you too! Black Friday and Cyber Monday Deals on Arwood Waste Clothing and Accessories! Celebrating Independence for 238 Years and Counting! Celebrating Independence for 239 Years and Counting! Celebrating Independence for 240 Years and Counting! Celebrating Independence for 241 Years and Counting! Celebrating Independence for 242 Years and Counting! Clean Your Slate – 3 Tips from Arwood Waste to Make 2019 the Best Yet! Climate Fee Notice: Don’t Let Old Man Winter Sneak Up on You! Climate Fee Notice: Old Man Winter is on his way…Don’t Be Surprised! Create Your Own Arwood Waste Garbage Truck Costume For Halloween!!! Did You Know Arwood Waste Offers Junk Removal Services? 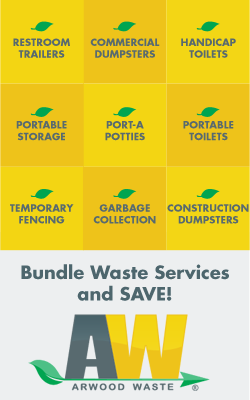 Did You Know Arwood Waste Offers Portable Toilet Rentals? 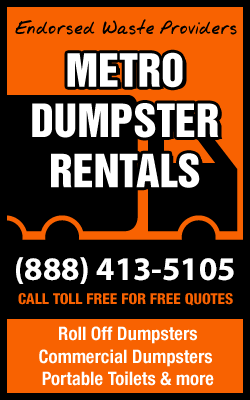 Did You Know Arwood Waste Offers Roll Off Dumpster Rentals? Did You Know Arwood Waste Offers Temporary Fencing and Barricades? Don’t Miss our Black Friday and Cyber Monday Deals on Arwood Waste’s Clothing and Accessories! Don’t Miss the Black Friday and Cyber Monday Deals on Arwood Waste’s Clothing and Accessories! Don’t Forget…National Garbage Man Day 2017 is here! Fall 2016 Reminder: Arwood Waste wants to celebrate all the holidays with you too! FREE $50 Gift Card & Black Friday Deals on Arwood Waste’s Clothing and Accessories! FREE $50 Gift Card and Black Friday Deals on Arwood Waste’s Clothing and Accessories! FREE $50 Gift Card Plus Black Friday Deals on Clothing and Accessories! Happy 243rd Birthday United States Navy! Happy Father’s Day 2016 from Arwood Waste and Our Partners! Happy Father’s Day 2017 from Arwood Waste and Our Partners! Happy Father’s Day 2018 from Arwood Waste and Our Partners! Happy Father’s Day from Arwood Waste and Our Partners! Happy Father’s Day from Arwood Waste and Partners! Happy Thanksgiving! The best gifts are wrapped up in people…We’re thankful for you! Have a blessed Christmas as we celebrate our Savior’s birth! Merry Christmas from Arwood Waste! Holiday Reminder: Arwood Waste wants to celebrate all the holidays with you too! 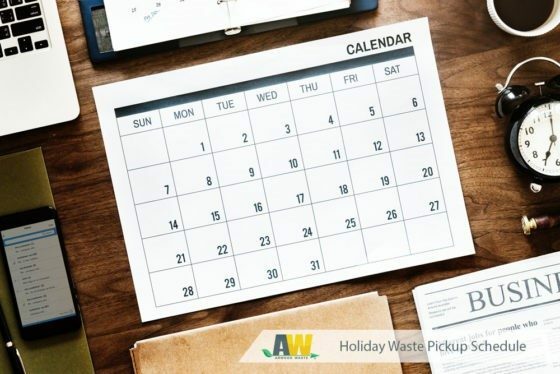 Holiday Schedule Reminder: Arwood Waste Celebrates the Holidays with You! Holiday Schedule Reminder: Arwood Waste wants to celebrate all the holidays with you too! Keep the Party Going! Celebrate National Garbage Man Day 2017 this week too! 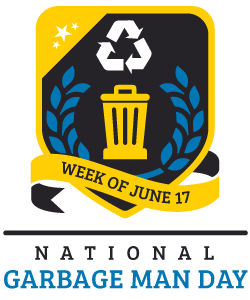 Let the week of celebration begin…National Garbage Man Day 2017 is here! Make Your Own Arwood Waste Garbage Truck Costume For Halloween! Marine Corps Day 2018: Thank You For Your Service! Memorial Day Sale. We HONOR You! Not Too Late to Pre-Order and Save! Not Too Late To Pre-Order For Fall and Save Today! Not Too Late To Pre-Order For Fall and Save! 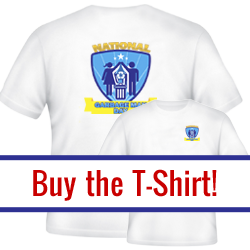 Not Too Late to Pre-Order for Spring and Save! Opportunity Knocks! 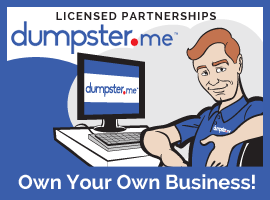 Become a Dumpster.me Licensed Partner TODAY! Pop Quiz! Can You Name Your Favorite Teacher? Pre-Order for Fall 2016 and Save!!! Pre-Order for Fall and Save!!! Pre-Order for Spring Cleaning and Save Big! Pre-Order for Summer 2016 and Save! Pre-Order for Summer and Save! Pre-Order for Winter 2017 and Save! Pre-Order for Winter and Save! Pre-Order Now for Spring Cleaning to Save! Save on Summer Projects with Arwood Waste – Let’s Do This! Special Fall 2016 Gift For You – FREE $50 Gift Card – Download Now! Special Gift For You – FREE $50 Gift Card – Download Now! Special Spring 2016 Gift For You – FREE $50 Gift Card – Download Now! Special Spring 2018 Gift For You – FREE $50 Gift Card – Download Now! Special Spring Gift For You – FREE $50 Gift Card – Download Now! Special Summer Gift For You – FREE $50 Gift Card – Download Now! Special Winter 2017 Gift For You – FREE $50 Gift Card – Download Now! Special Winter 2018 Gift For You – FREE $50 Gift Card – Download Now! Spring 2016 Reminder: Arwood Waste wants to celebrate all the holidays with you too! Spring 2018 Reminder: Arwood Waste Wants to Celebrate All the Holidays with You Too! Spring Reminder: Arwood Waste wants to celebrate all the holidays with you too! Start the New Year with a Clean Slate – 3 Tips from Arwood Waste to Make 2017 the Best! Start the New Year with a Clean Slate – 3 Tips from Arwood Waste to Make 2018 the Best! Still Time to get these Cyber Monday Deals on Arwood Waste’s Clothing and Accessories! Still Time to get YOUR amazing Cyber Monday Deals on Arwood Waste’s Clothing and Accessories! Still Time to Pre-Order and Save for this Winter! Summer Reminder: Arwood Waste wants to celebrate all the holidays with you too! 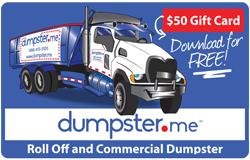 Take Control of Your Future | Become a Dumpster.me Licensed Partner TODAY! There is Still Time! Claim Your Cyber Monday Deals from Arwood Waste Before They Are Gone! There’s Still Time to Pre-Order and Save this Winter! Time to Clean Out Those Binders! Wishing You a Blessed Christmas as We Celebrate our Savior’s Birth! Merry Christmas from Arwood Waste! Wishing You a Happy Labor Day from Arwood Waste!